Confucianism was introduced into Vietnam early during the Chinese rule, and has maintained much of its influence since that time. In 1072, there was a temple dedicated to Confucius and his leading 72 disciples. Located in Hanoi, this temple was called the Temple of Literature. In Saigon, at the Botanical Gardens, there is a temple dedicated to Confucius called the Temple of Souvenirs. This is the site of Confucius' birthday celebration which is solemnly honored each year. Born in 551 B.C. as one of 11 children, and largely self-educated, Confucius became China's most noted educator and learned man. The name Confucius is a transliteration of Khong Phu Tu with Khong as the family name and Phu Tu meaning Master. While having no "bible" and no "clergy", Confucianism became a religion by its very philosophy and promotion of traditional rites. For instance, in discussing life after death, Confucius said "Respect the spirits, but stay away from them". At the same time, he promoted ancient religious rites such as the worship of heaven, the honoring of the Emperor, the commemoration of great men, etc. Likewise he taught that ancestral rites should be practiced since filial piety is the basic virtue because one should remember the origin of life. He apparently encouraged the building of temples to noted men, and thought seasonal rites should be performed to them as signs of respect and veneration. Because the aspirations of man are universal, the teachings of Confucius have been widely accepted. He encouraged the three virtues of humanity, intelligence and courage. In the daily life patterns, he set forth the moral obligations of right relationships between ruler and minister, father and son, elder and younger brother, husband and wife, friend and friend. Confucius was perhaps one of the leading humanists of all times with his major concern being the present life. These concepts formed the basis of his writings and ethical teachings. Sometime after his death a temple was built in his memory at Chufon. 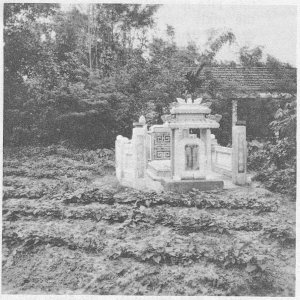 Sacrifices were offered in this temple until the fall of the dynasty of Chou. Confucius was a very conservative man with a great respect for law; he was not inclined to change or progress. Basic to his teachings was the establishment of rules and regulations for the functioning of bureaucratic states. His teachings were social and ethical, and without speculative questions. There was very little obvious supernatural religion in his teachings other than his claim to divine inspiration. In his doctrines, which were pragmatic and practical, there was no personal deity; no god who was responsible for the beginning of all things. He believed that there was no such thing as a First Cause, which might be called God, but that force and matter existed from all eternity. They were eternal in the sense that Christians claim eternity for God; they always existed independent of anything else. There was an encounter between these two with force acting on matter somewhat like the active masculine element on the passive feminine element which produced Heaven and Earth. Mankind also resulted from their union. Therefore man is endowed with an essentially good nature, but to preserve this he has to sharpen his wits and act in the correct manner. His reason mast not be clouded by his emotions. Heaven has endowed each person with a conscience that allows him to distinguish good from evil, and the reward of virtue is the tranquility of soul that man forever seeks. His practice was to accept all the main religious rites. He seems to have rejected the idea that true life exists after death as the Christians believe, or in Nirvana as the Buddhists believe. He advocated the enjoyment of a simple life, especially family life, and harmonious social relations. 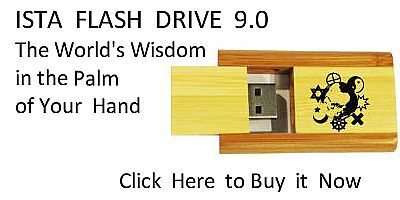 Even though Confucius did not believe in a personal God, his system had its scriptures, rituals, family religion, and cult of ancestors. Confucius collected, edited, and in some cases, rewrote the classics of the Chou period (1100-481 B.C.). As a major emphasis in its ethical system, Confucianism regulates relations between people. It is the improper conduct of these relations that causes disorders in the social group and therefore throws man out of harmony with the universe. The cosmic world (Heaven and Earth) are in harmony, and man's aim in life is to achieve a similar harmony. Vietnamese Confucianism, though without a strong formalized organization, still vitally affects nearly all ethnic Vietnamese. This is part of the cultural environment into which the child is born. Confucianism gave Vietnam a highly organized hierarchial society. Yet while encouraging the improvement of the individual, it did so in order that he could better function for the community. For the individual was, and is, perceived to have little value beyond the family and society. In this sense Confucianism is anti-individualistic. Since in Confucianism death does not mean the annihilation of man (as the spirit is thought to survive the body) ancestral worship is the giving of veneration to those to whom life is owed. Confucianists believe upon death the "spirit" wanders in space as an exile. Duty requires that it be brought back to the family altar and be worshipped. Filial reverence is the primary duty of all Confucianists. On all solemn occasions the ancestral spirit is to be invoked and offered liquors, flowers and fruit, which is accompanied with prayers and incense. Confucianism or Religion of Life, is vividly seen throughout Vietnam in the worship paid to ancestors, as well as in the Festivals of Spring, Autumn, Youth and to the New Year. The formal names of these are Festival of the Arrival of Spring, the Mid-Autumn Festival, the Children's Festival, and the Festival of TET. TET is the Festival of Renewal and Rebirth, or Meditation and Hope. With fireworks (in peace time), ringing bells, and beating tom-toms, toys and much food, TET is a high occasion in Vietnam. 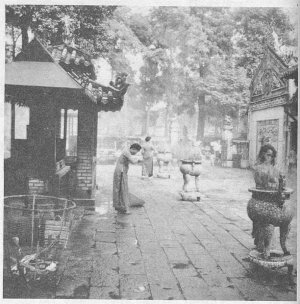 Many folk visit the pagodas to worship, burn joss-sticks and sandalwood incense, with flowers, food and liquors being placed also on the family altars. It is the occasion when long life is wished to others, when happiness and hope for the abundance of offspring, such as five girls and seven boys each more handsome than the other, is extended to all. The other worship occasions involve the worship of the land. Such ceremonies include the Festival of the Beginning of Plowing, and the Rice Festival, the Harvest Festival and the Festival of the First Fruits. Because the Vietnamese feel that the land has always nourished them in spite of drought, war, foods, etc., the farmer never seems to lose faith in the land as he plows, plants, harrows, weeds and irrigates it. To express his thankfulness for such response, the land is given honor in seasonal festivals which expressing hopes and efforts of the past and for the future. 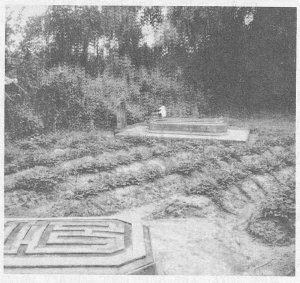 Such worship of the land has tended to create in the Vietnamese peasant an almost fanatical attachment to his birthplace which nourished him during life, and becomes his grave after death. It is the combination of worship of the land and ancestor veneration which creates the sight of numberless graves being scattered throughout the farming areas of Vietnam. Confucianism has exercised a powerful influence in the formation of Vietnamese society, and continues to have great force at the present time. As in China prior to the communist government. the family is the basic unity of society. Thus the four fundamental principles which govern Vietnamese women as a whole constitute filial love, conjugal love, love for the home and mother love (or obedience to father until married, obedience to husband while married, obedience to eldest son when husband is dead). One Vietnamese writer says "A barren women is almost despised and families are large for the mission of Asian women in life is to bring into life as many children as possible" (Tran Van Tung, Vietnam, New York: Frederick A. Praeger; 1958). 1. The individual is always less important than the family. Confucius said "While his parents are alive, a son should not dare to consider his wealth his own; nor to hold any of it for his private use." 2. The living person is merely the connecting link between the dead and yet unborn, so that all proposed actions must consider the welfare of these two classes more important than one's own fate. Confucius said "Although your father and mother are dead, if you propose to yourself any good work, only reflect how it will make their names illustrious, and your purpose will be fixed. So if you propose to do what is not good, only consider how it will disgrace the name of your father, and you will desist from your purpose." 3. Because devotion and veneration of ancestral spirits promote their welfare, marriages are planned by the family to insure sustained veneration. Confucius said "The ceremony of marriage was intended to be a bond of love between families of two different surnames, with a view in its retrospective character to maintaining the services in the ancestral temple; and in its prospective character, to secure the continuance of the family line." 4. Veneration rites encourage large families. 5. Deep respect is due to elders, aged and seniors without regard to factors other than age. Confucius said "Filial piety and fraternal submission--are they not the root of all benevolent actions?" 6. The cult of ancestor worship or veneration gives the male double roles: head of the household and religious head of household for ancestor veneration. Since this rite normally is conducted only by the male descendents, boys are more desired than girls. Confucius said "Man is the representative of Heaven and is supreme over all things. Woman yields obedience to the institutions of man and helps him to carry out his principles." 7. Confucianism as a religious force is not apparent among the Montagnards who comprise approximately 5% of the total population. The dead are still part of the family so graves are as elaborate as finances allow. The round dirt grave symbolizes the ''circle of life''. 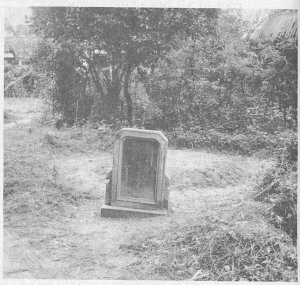 Such graves dot the countryside of northern South Vietnam.